The National Science Foundation awarded a $1.3 million, five-year grant to support University of West Florida students pursuing teaching careers in STEM fields, or science, technology, engineering and mathematics. 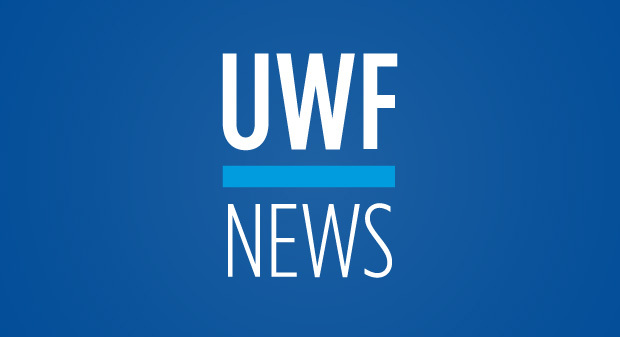 “Eighteen STEM majors will become Robert Noyce Scholars and receive funding for the cost of attending UWF during their junior and senior years,” said Dr. John Pecore, the principal investigator. He proposed and will administer the NSF grant. Pecore is an associate professor in the Department of Teacher Education and Educational Leadership in UWF’s College of Education and Professional Studies. To be eligible to become a Noyce Scholar, students must be pursuing a UWF-Teach degree. 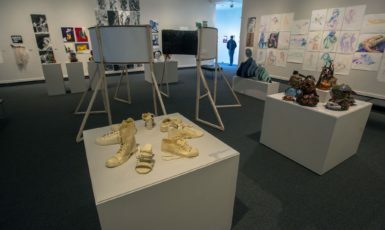 Through a collaboration between the Hal Marcus College of Science and Engineering and the College of Education and Professional Studies, UWF-Teach students graduate in four years with a Bachelor of Arts degree in a STEM field and Florida grades six through 12 professional teacher certification. Students complete the content of a regular science or math major along with education coursework and practical teaching experience. The Noyce Scholarship Grant will fund the participation of the 18 UWF-Teach Noyce Scholars in a citizen-based education research project where they will collaborate with a Hal Marcus College of Science and Engineering faculty member and a STEM master mentor to design lessons that elicit middle or high school students to engage in an ongoing UWF faculty research project. “After graduating, each highly qualified Noyce scholar will work with an average of 150 different students per year for a total of approximately 750 students every five years. 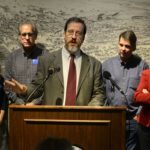 Eighteen Noyce Scholars will impact an estimated 13,500 students every five years in high-need school districts,” Pecore said. 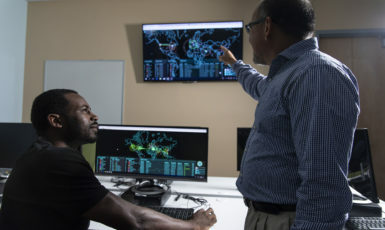 The project supports eligible dual-enrolled freshmen and sophomore STEM students at UWF, Pensacola State College and Northwest Florida State College. Support comes in the form of teaching experience in conjunction with coursework and a summer internship at a middle or high school in a high-needs school district. Dr. Jaromy Kuhl, chair of the mathematics and statistics department at UWF, is the co-principal investigator of the NSF grant. The other two co-principal investigators are Kirk Bradley from Pensacola State College and Sean Psujek from Northwest Florida State University. For more information about the UWF College of Education and Professional Studies, visit uwf.edu/ceps. *This material is based upon work supported by the National Science Foundation under grant No. (1660615).